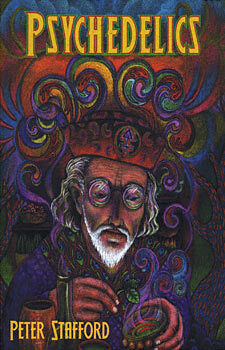 Psychedelics is mostly a reprint of a few sections from Peter Stafford's Psychedelics Encyclopedia. A small amount of new information has been added, though nearly none of it is directly related to the psychedelics themselves. Rather, the new information is primarily short blurbs about newer cultural influences surrounding the world of psychedelics. We would love to a full new edition of Psychedelics Encyclopedia, updated significantly from the original 1977 edition including all of the new research, data, and history that has happened in the last 30 years, but this isn't it. The primary use of Stafford's Psychedelics appears to be to break up the larger original Psychedelics Encyclopedia into smaller chunks. All in all, we'd recommend sticking with the original. Psychedelics is a wealth of information about one of the most controversial issues of modern times. Stafford weaves scientific research, personal accounts and popular literature into a fascinating story of the amazing "mind-manifesting" substances known as "psychedelics". Stafford had the vision to see what was happening in the 60s was making history and recorded the events as they happened. So important is "The Stafford Collection" that it has been deposited in the library of Columbia University. There is a mythic element in the emergence of LSD, which Stafford illuminates and explores in Psychedelics, along with the shifting social attitudes towards psychedelices. Psychedelics is a remarkable sourcebook for those interested in the psychological, biological, physiological and cultural aspects of psychedelic drugs. "...a gas to read....scholarly, hip, scientific, sitty, well-written, hopeful, and a treasure chest of weird and wonderful information." "Peter Stafford has an elephant's memory for what happened to Public Consciousness."